Many driving instructors will already be aware of coaching and indeed, some are already incorporating it into their lessons. ‘Coaching’ is the big buzz word at the moment in the industry with the DSA attempting to incorporate new and improved techniques into teaching and testing with a view to creating much more responsible drivers than are created using traditional ‘instructional’ methods. Indeed, ‘coaching of driving skills and methods’ is listed in the competency framework for CPD for driving instructors and with the EU Hermes project focusing on ‘coaching and optimal communication skills’, you can expect to see a lot of development in this area over the coming months and years. Coaching is not just a case of asking questions (which instructors do already as part of their everyday teaching). It is about asking questions which raise the awareness and responsibility from within the coachee. There are many tools that instructors can use from within the coaching toolbox and the effects of using coaching with learners can be quite profound. To date, there has been little information available about coaching specifically for driving instructors. 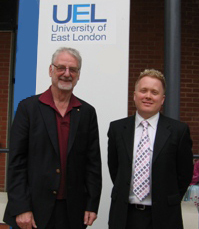 Last year, the University of East London ran its pilot course – a Postgraduate qualification in ‘Coaching for Driver Development’ in which a handful of the best professional driver trainers and coaches from all aspects of the driving world were invited to attend. I was fortunate enough to be one of the delegates invited to attend that course, along with my good friend and colleague Kathy Higgins of Insight2Drive. We have recognised that courses and workshops for driving instructors are few and far between and so we have developed a one day coaching course specifically designed for Approved Driving Instructors. The one day ‘Practical Coaching Techniques for Driving Instructors’ interactive workshop offers driving instructors essential information which can be incorporated into the everyday work of an ADI. The content will include basic principles and benefits of using coaching in driver training, what makes a good coach, and lots of practical coaching techniques. There are two workshop dates currently available, Monday 22nd February 2010 in Oldham and Thursday 18th March 2010 in Liverpool. Both courses will be run by me (Ged Wilmot), Claire Wilmot and Kathy Higgins. Having a wealth of driver coaching experience, we are excited to be able to offer such a course to ADI’s throughout the North West of England. The course fee is £139, which includes lunch and refreshments. Spaces are limited and going fast, so you’ll need to act quickly! If you would like further information about the course, please contact Claire Wilmot on 07956 104160 or complete the contact form on the Active Driving Solutions website. Coaching is an excellent way to develop driving instructors. Listening skills and understanding body language are all part of the coaching experience and can be of tremendous use to the instructor. Good to know about ‘Practical Coaching Techniques for Driving Instructors’ and its good news that now a day people are interested in such type of courses. These types of workshops are very useful for driving instructor to improve teaching techniques.